San Diego, Calif., Feb. 7. 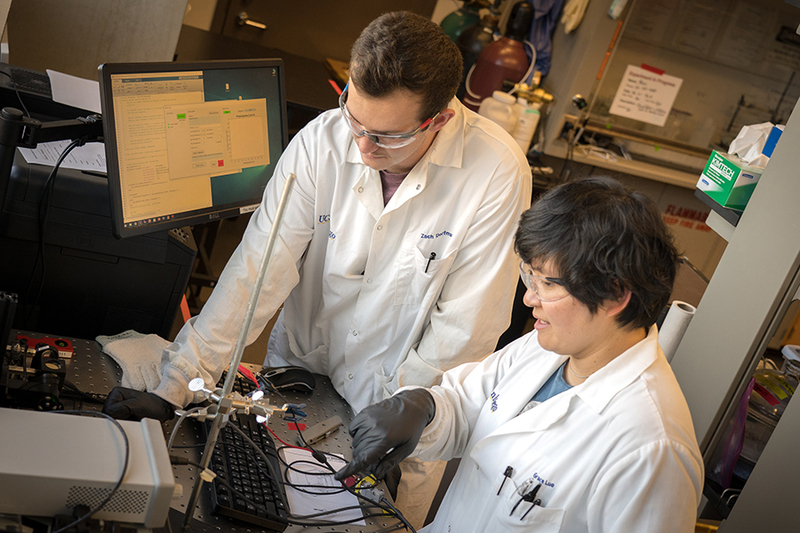 2019 -- A team of researchers has reported new findings about perovskites that could pave the way to developing low-cost, high-efficiency solar cells. Using high-intensity X-ray mapping, they explain why adding small amounts of cesium and rubidium salt improves the performance of a promising class of solar cell materials, called lead-halide perovskites. Researchers published their findings in the Feb. 8 issue of Science. 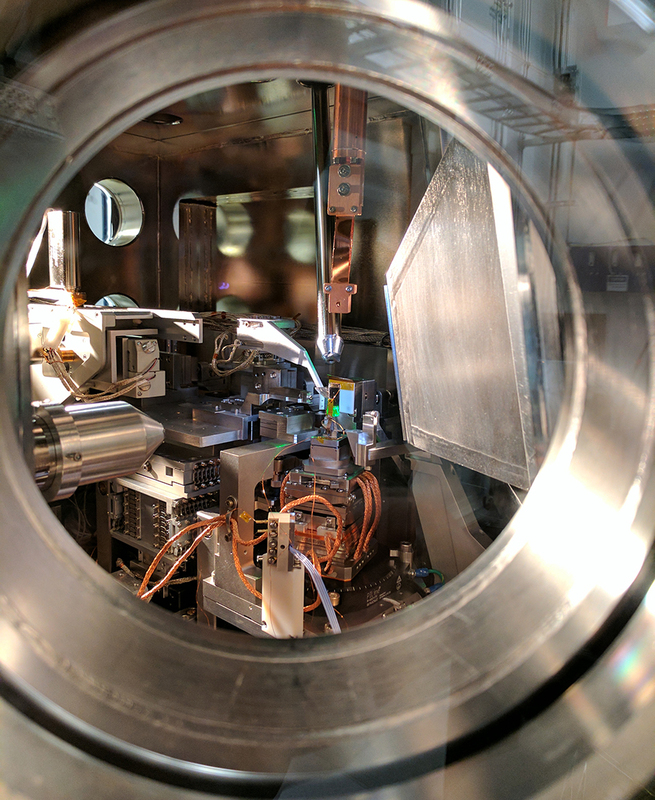 In recent years, researchers have focused on testing different recipes to achieve better efficiencies, such as adding rubidium and cesium cations to lead-halide perovskites. 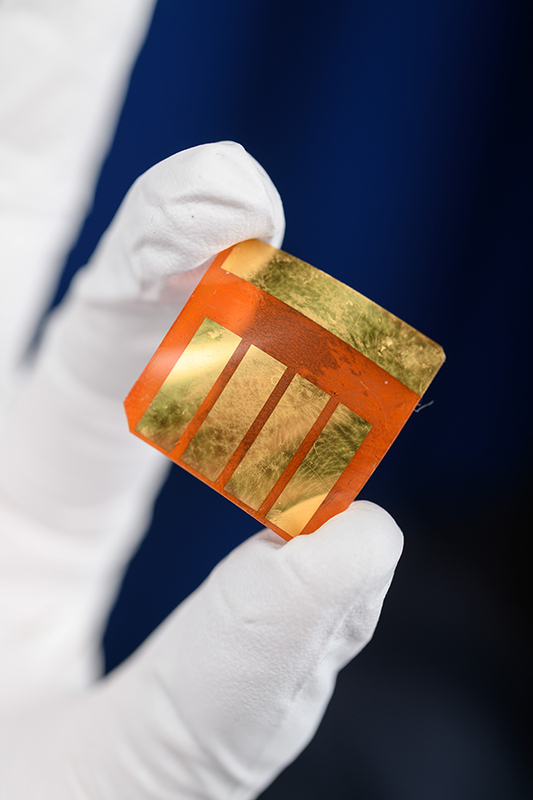 Studies have shown that adding these alkali metal cations improves perovskite stability and performance, but little was known about why. To answer this question, Correa-Baena teamed up with Fenning, a researcher at the UC San Diego Sustainable Power and Energy Center whose lab specializes in using X-ray imaging techniques to probe inside perovskites at the nanoscale and create high-resolution maps of their atomic structures. “By looking at the composition within the perovskite material, we can see how each individual element plays a role in improving the performance of the device,” said Yanqi (Grace) Luo, a nanoengineering PhD student in Fenning’s Solar Energy Innovation Lab and co-first author of the study. Their experiments revealed that adding low concentrations of either rubidium or cesium cations caused halide atoms within the material to distribute evenly, resulting in up to two percent higher conversion efficiency than perovskites without these additives. “We found that uniformity in the chemistry and structure is what helps a perovskite solar cell operate at its fullest potential. Any heterogeneity in that backbone is like a weak link in the chain,” said Fenning. While adding small amounts of rubidium or cesium was beneficial, the team also observed that adding too much caused some perovskite cations to cluster together, creating microscopic inactive “dead zones” in the solar cell that produce no current. Ongoing studies will explore in further detail how uniform halide distribution affects the long term stability of perovskite solar cells. Paper title: “Homogenized halides and alkali cation segregation in alloyed organic-inorganic perovskites.” Co-authors include Thomas M. Brenner, Xueying Li, Shen Wang and Ying Shirley Meng, UC San Diego; Jordan Snaider, Ti Wang and Libai Huang, Purdue University; Shijing Sun, Mallory A. Jensen, Noor Titan Putri Hartono, Lea Nienhaus, Sarah Wieghold, Jeremy R. Poindexter, Moungi G. Bawendi and Tonio Buonassisi, Massachusetts Institute of Technology; and Barry Lai, Martin V. Holt and Zhonghou Cai, Argonne National Laboratory. This work was supported in part by the Department of Energy, National Science Foundation, Hellman Foundation, and California Energy Commission Advance Breakthrough. This work was performed in part at the San Diego Nanotechnology Infrastructure (SDNI) at UC San Diego, a member of the National Nanotechnology Coordinate Infrastructure, which is supported by the National Science Foundation (grant ECCS-1542148).